HOT! That’s what it is outside for many across the country. You try and get out early in the morning with the kids, and spend your day at the pool. For many though, you’re stuck inside trying to entertain the kids. If you’re on Pinterest, search Goop. Tons of recipes come up. I’m sure you’ll find one to please your crowd. How about some Peanut Butter Play Dough? Spray the bowl with nonstick cooking spray. Add the honey and dry milk powder to the bowl and mix well. Add the peanut butter and mix until smooth. Stir in the cereal. Use as edible modeling clay. Note: To serve as a snack, shape the peanut butter mixture into ½ inch balls and roll in the cereal. Dip into melted chocolate if desired. Store in the refrigerator. 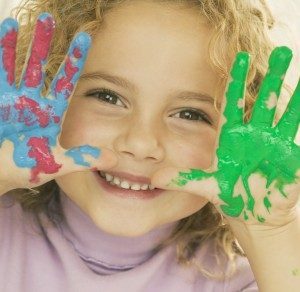 For some fun in the sun consider letting the kids paint with pudding, shaving cream, or colored ice cubes . What have you tried indoors or out with the kids to keep them entertained in the kitchen when it’s hot? This article originally appeared on Regarding Nannies. Reprinted with permission. Our guest post today comes from HomeWork Solutions. Most nannies and their employers have a very informal work relationship, without any formal written agreement. The work and pay related details that most employers take for granted – Paid Time Off (sick/vacation/personal) and vacation scheduling – are gray clouds over the nanny’s head. Many wonder, and are afraid to ask, will I be paid? Most nanny employers have established rules in their workplace – paid holidays, a paid vacation policy, and colleagues to share the work load when one is absent. Nannies often have none of these things formalized. As a rule of thumb, the full time nanny should be paid for any regularly scheduled day when she is available to work and the family, for any reason, decides they don’t need her. This includes holidays such as the 4th of July as well as the family’s beach week. The full time nanny should have an agreed number of Paid Time Off (PTO) or flex days available to her and reasonable latitude to schedule her personal vacation, etc. She may have some scheduling limitations, agreed to in advance, as to the timing and duration of vacation time, but should have reasonable discretion in the matter. Continue reading for information on part-time and summer nannies. Caregivers in the United States are a diverse group of individuals that represent approximately 17% of Americans. Nearly 40 million people that differ in age, gender, socioeconomic status, and racial/ethnic background have taken on the responsibility of caring for the needs of someone living with a chronic condition, a disability, or the impacts of old age on their own self-care. 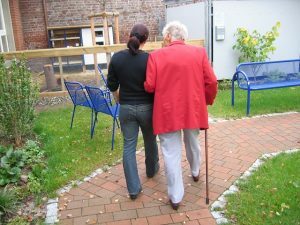 Caring for a loved one can be one of the most rewarding acts you may perform in your lifetime, but it can also be one of the most challenging. Typically, family caregivers wear multiple hats; you are the nurse, the banker, the psychologist, and the chauffeur. Due to the wide range of responsibilities, your role is vital to the sustainability and longevity of your care-receiver. In contrast, studies have shown that caregivers need to maintain their own self-care, as caregiving can have negative impacts on a caregiver’s health, both physical and emotional. To ensure caregiver burnout does not occur, you must practice emotional hygiene with the same diligence you take when caring for your loved one. Emotional hygiene refers to the practice of being mindful of our psychological health and adopting brief daily habits to monitor and address psychological wounds when we sustain them. When I first started working as a nanny I found a lot of great ideas to use with my nanny kids from author Sheila Ellison. I will share her clever ideas on how to teach children to be patient today. The only way to teach children difficult coping, life skills is to practice using those skills as play or activities to do together. But, teaching kids who crave immediate gratification to be patient can be particularly tricky. In her book 365 Ways to Raise Great Kids Ellison explains that a child that is patient can entertain herself while waiting and listen until she learns and understands.